With government policy-makers and private funding agencies in the US, UK and Europe mandating greater public access to published scientific research, Copyright Clearance Center, Inc. (CCC), a not-for-profit organization and leading provider of licensing and content solutions, announced it endorses the Research Information Network’s call for cooperation among funders, universities, and publishers. CCC has been helping publishers improve the author experience with respect to the collection of article processing charges for over five years, and welcomes efforts towards standardization and transparency. The UK-based Research Information Network (RIN) issued a report last week urging stakeholders to “work together to ensure that progress … is as smooth as possible toward creating the systems and processes that enable the payment of ‘Open Access’ article processing charges (APCs), while meeting the costs of publication.” The Wellcome Trust and Joint Information Systems Committee (JISC) commissioned the RIN study on behalf of the Open Access Implementation Group. In the paper, author Michael Jubb specifically identified several “core” functionalities that publishers and funders should require of any APC solution. 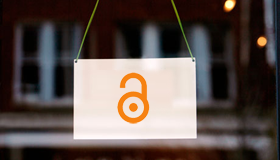 CCC’s Open Access Solutions include secure tools for managing author publication charges, as well as color charges, page charges and reprint orders. RightsLink users have 24/7 access to these tools, including reporting and customer service.